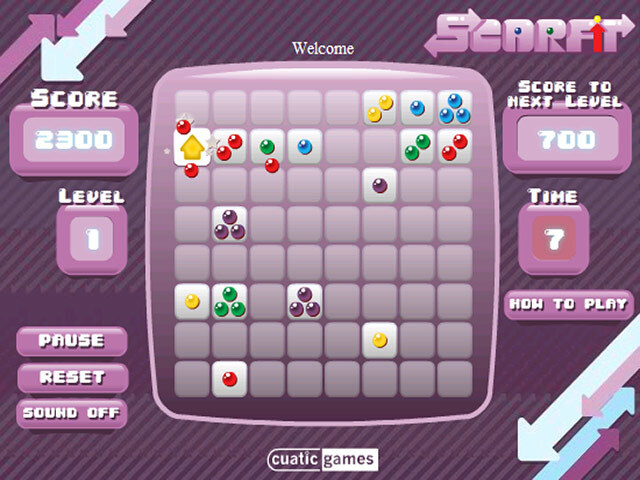 Scarf down the colored tokens as fast as you can in this tasty puzzler. You eat what you are, so be sure to chomp the right color.Hungry? Scarf down a token snack!Hungry? 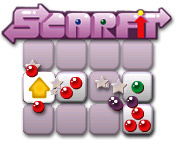 Scarf down a token snack as you play Scarfit, a fast-moving online puzzle game. You are the colored arrow, and you need to gobble tokens that match your color. 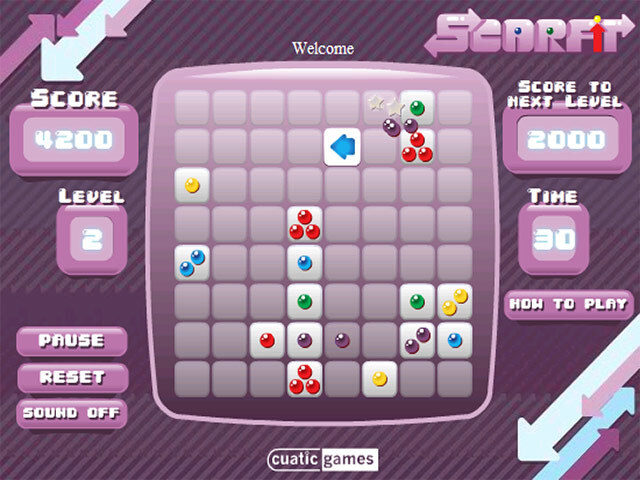 Use the arrow keys to guide your arrow to a token. Chomp! 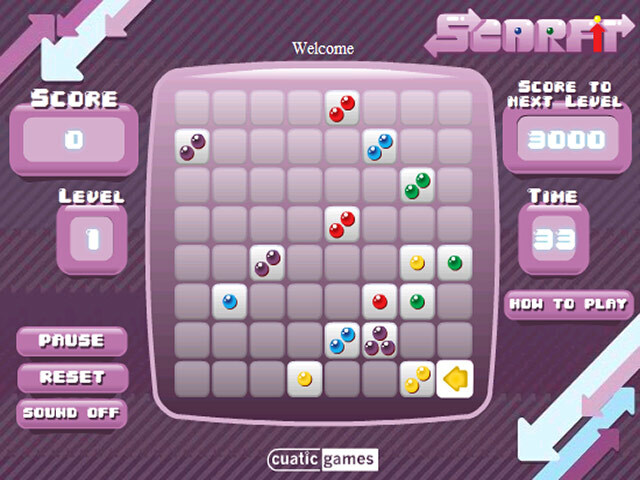 Move on to the next color as quickly as you can. If time runs out, you lose the game. Remember, you eat what you are, so be sure to scarf the correct color!